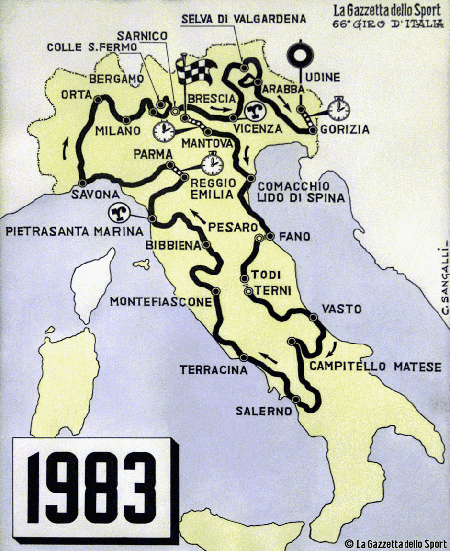 1983, June, 4th: it’s a Saturday and it’s the final stage eve. 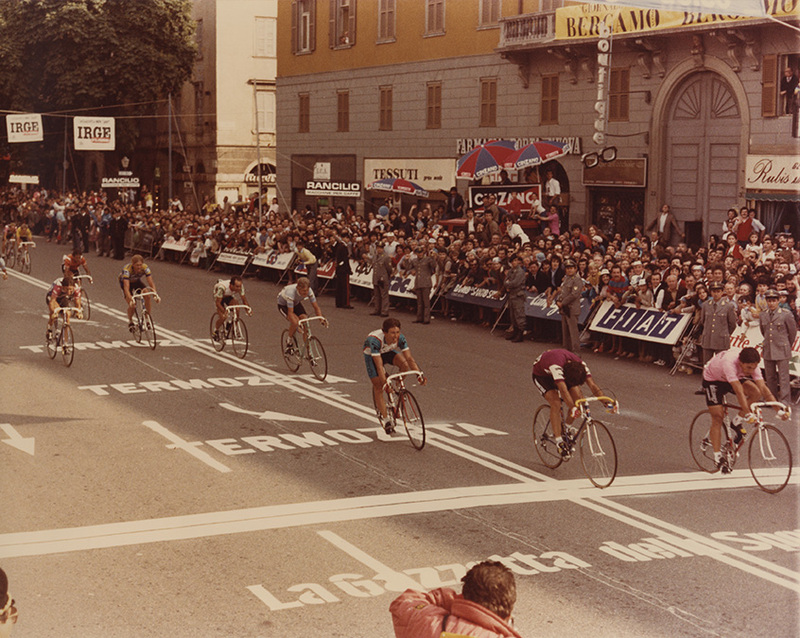 The riders are in Gorizia and Saronni has taken accomodation at the Hotel Internazionale, in Viale Trieste. The manager od the hotel’s restaurant is a nice, moustached men from Naples, back in Italy after many years of hard work in Germany. 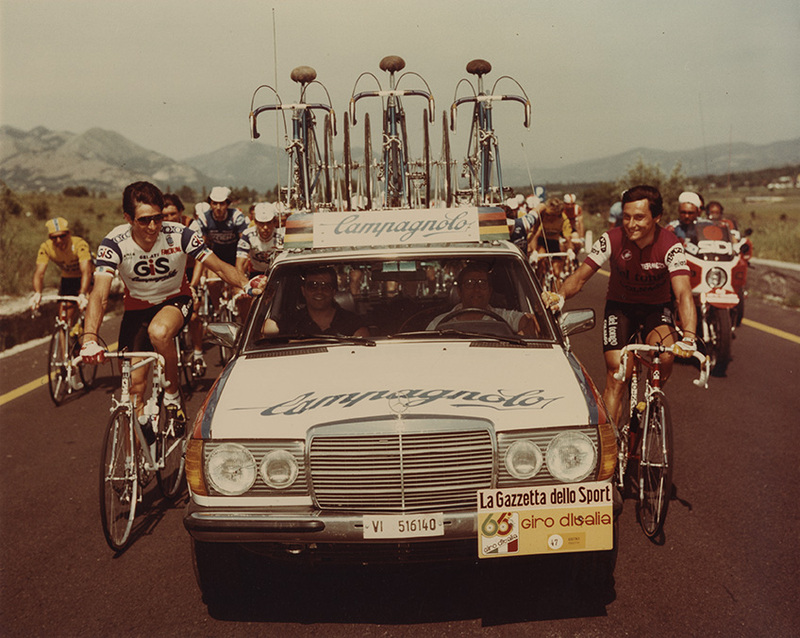 Somebody, later identified as a businessman of the cycling industry, doesn’t wan Saronni to reach Udine wearing the Maglia Rosa. He ask the waiters to put a massive dose of Guttalax, a laxative, in Saronni’s dinner, offering money to do that. But the staff switches the alarm on and reports the attempt to the police. Saronni is safe and sound and can start the last stage of the Giro. Till the end of the last stage it’s Visentini (and not the laxative) that attempts to prevent him from winning. Visentini wins with 49” over Saronni and the last one arrives in Udine with just 67” over Visentini. 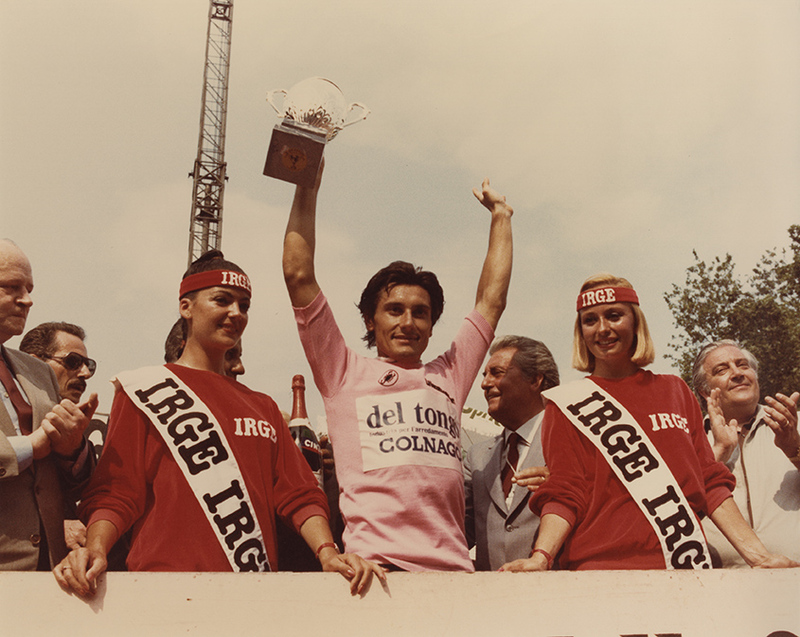 Saronni can finally celebrate his second triumph at the Giro.